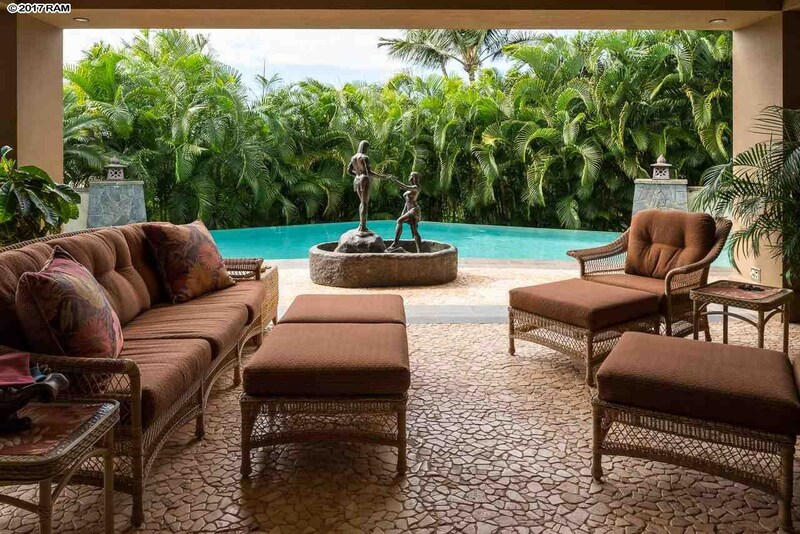 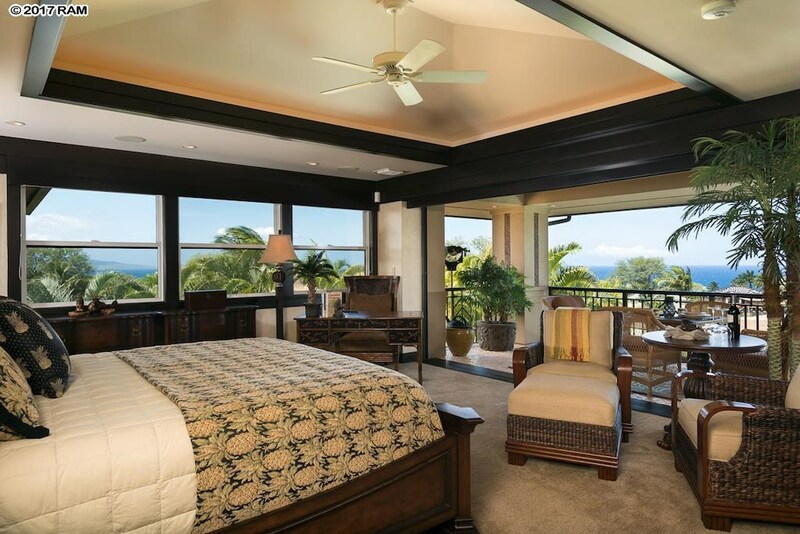 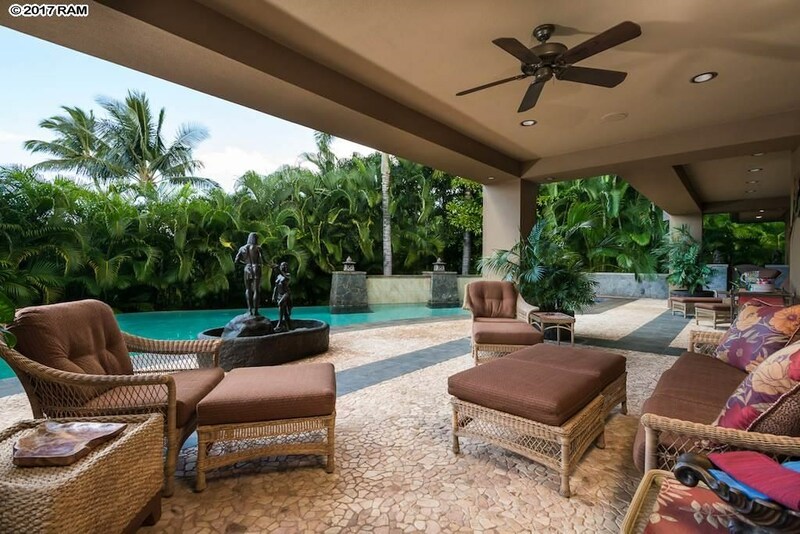 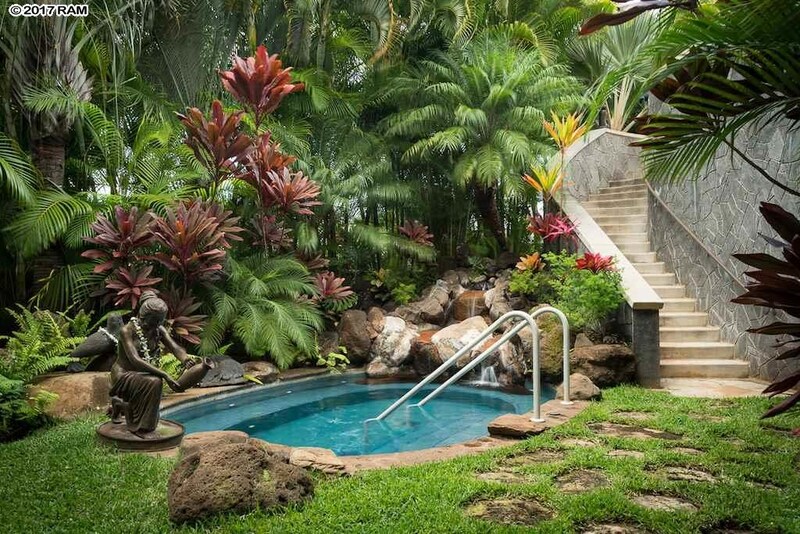 Remarks: With its 78-foot wrap-around pool and grand lanais this magnificent Wailea Highlands home offers the finest in indoor-outdoor living and incomparable architectural design. 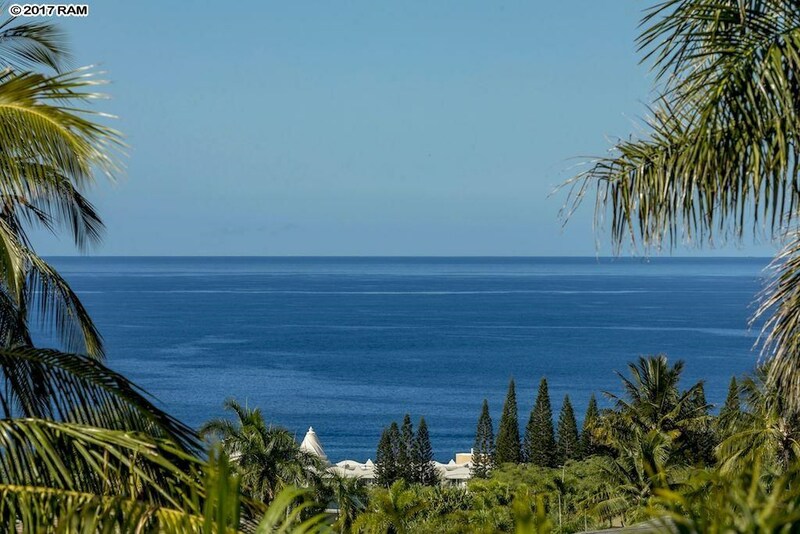 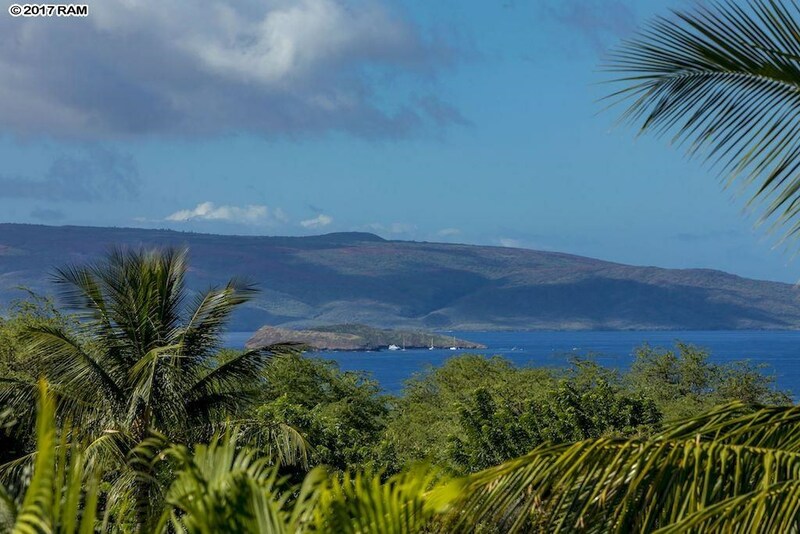 Majestic ocean views and coveted privacy are yours in this 8657 sq. 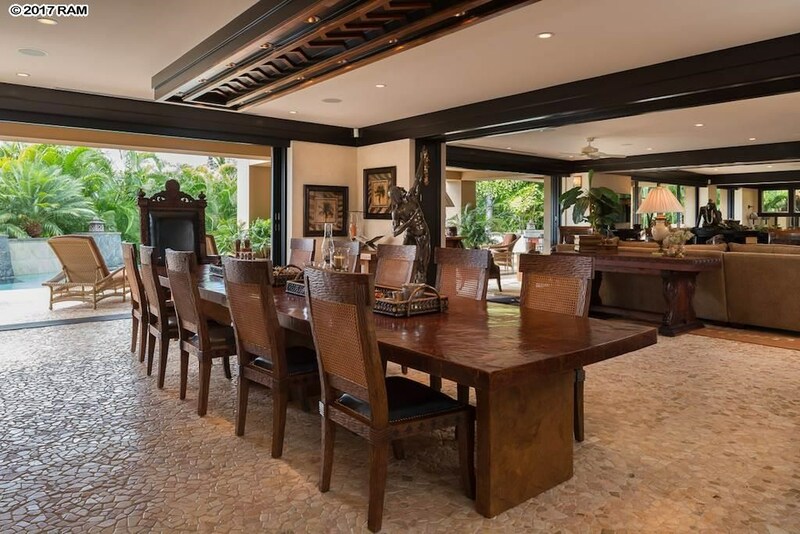 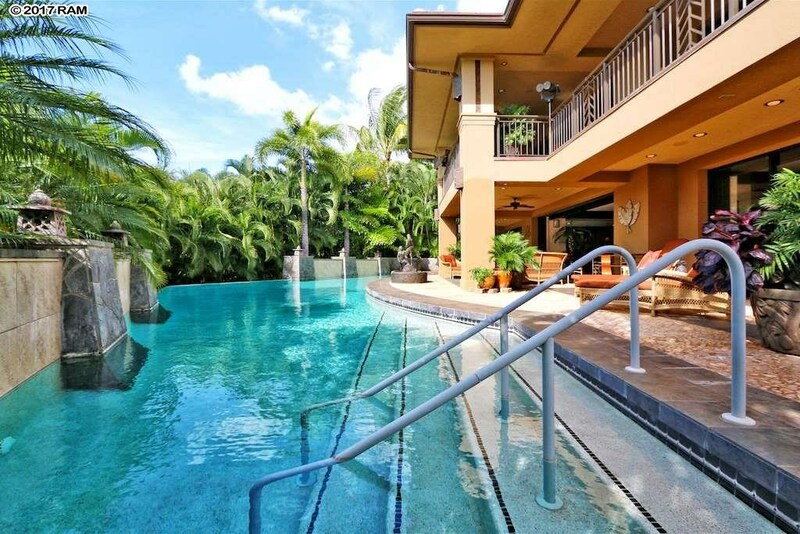 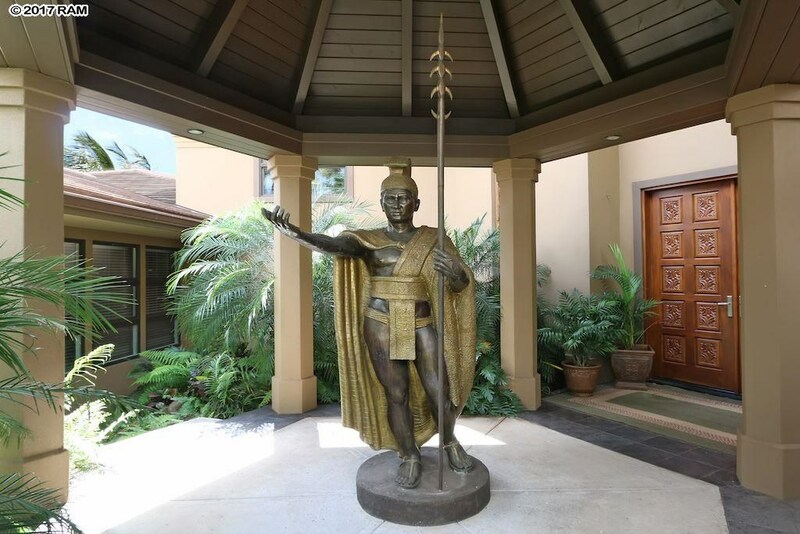 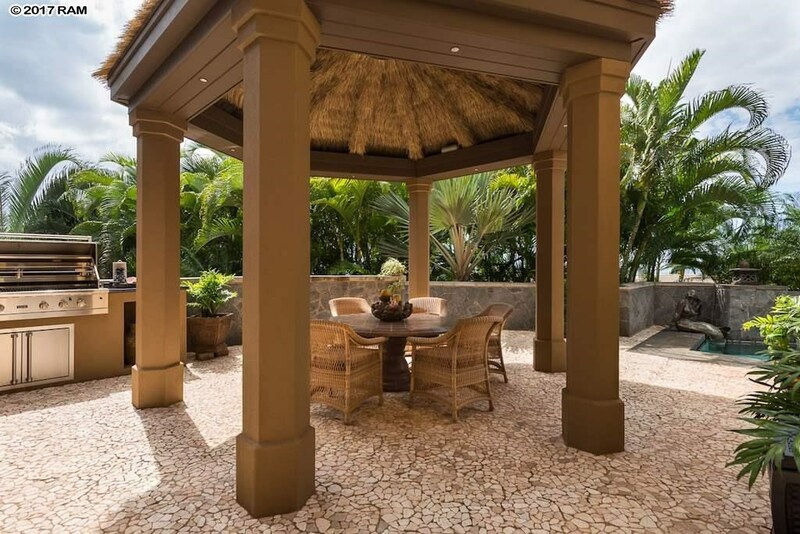 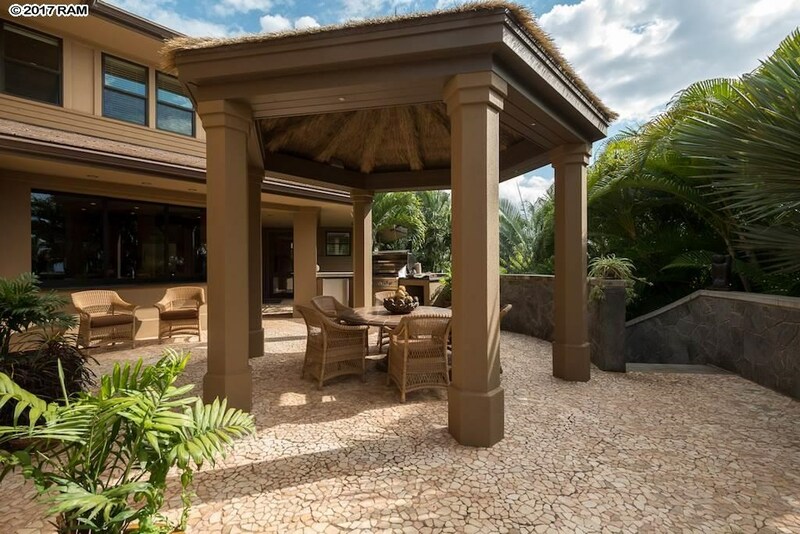 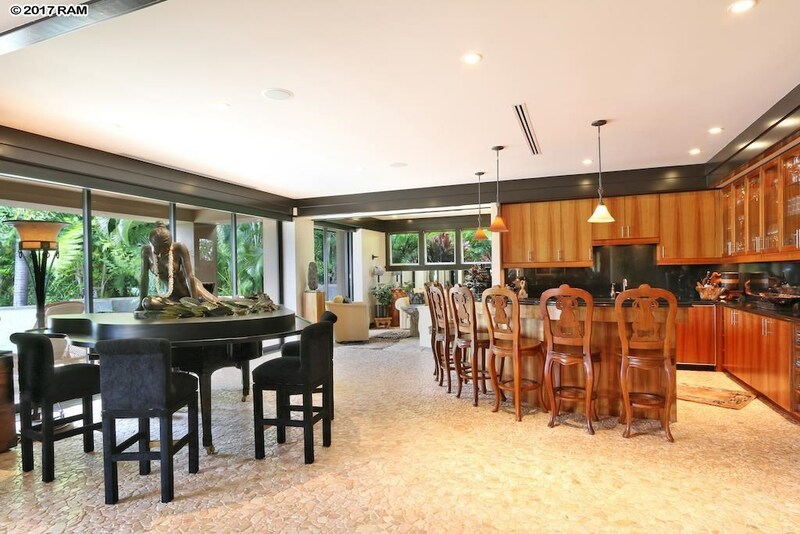 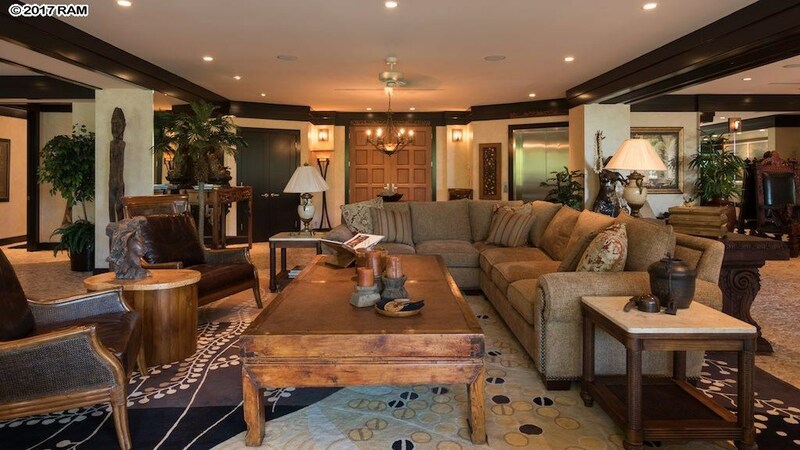 ft. 4 bedroom and 7 bathroom tropical paradise with its Balinese influences, rich Koa cabinetry, Balinese river stone flooring, chef and private catering kitchens with black granite counters. 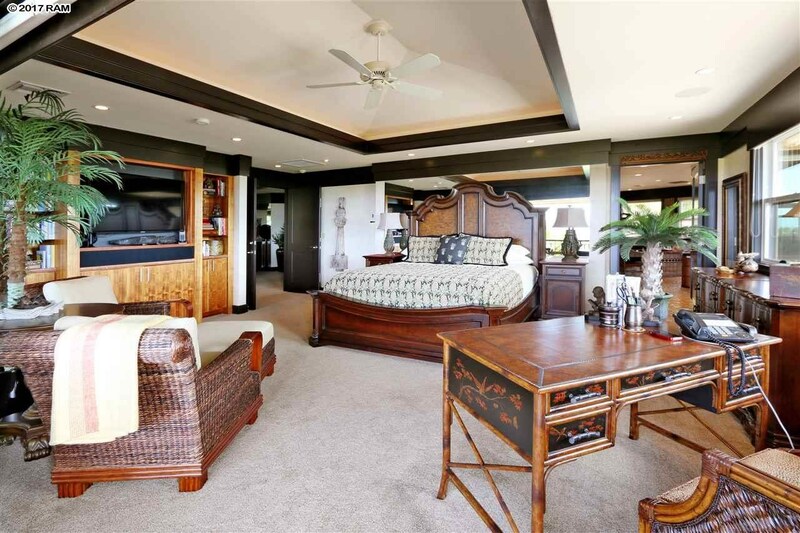 This home boasts 3 beautifully designed in-suite guest rooms. 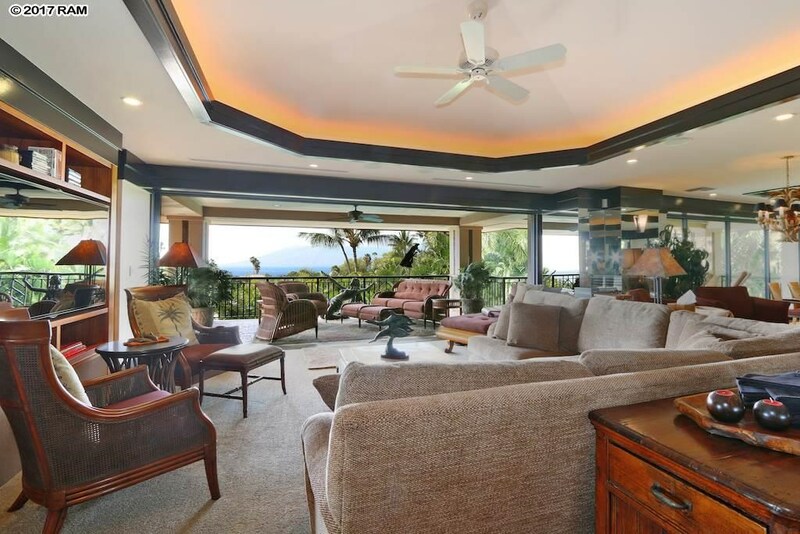 A Master Suite, Livingroom, Dining area, Bar, Office, Private Lanais with sweeping Ocean Views occupy the entire second floor accessible via stairs or elevator. 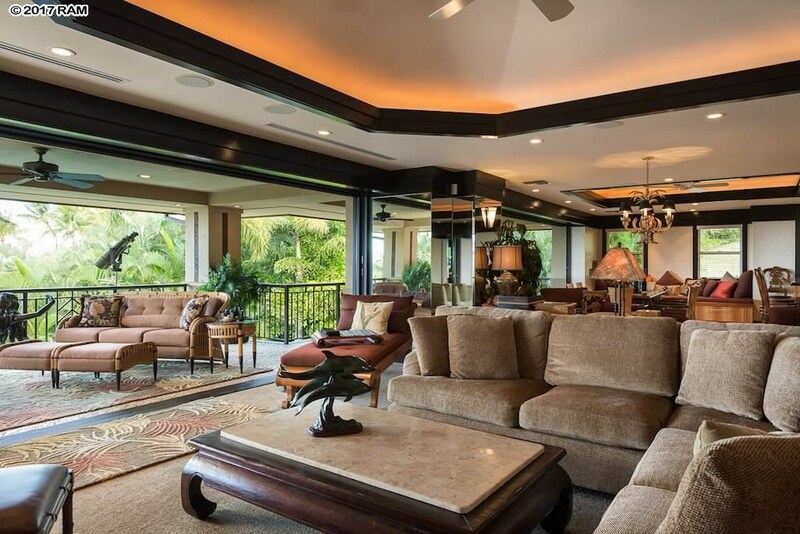 From built-in Koa entertainment centers and 2 beautifully designed custom-built Koa Bars, a dining room with seating for 16 and a grand piano graces the main living room, was designed with entertaining/family in mind while several quiet sitting areas are also available to you and your guests. 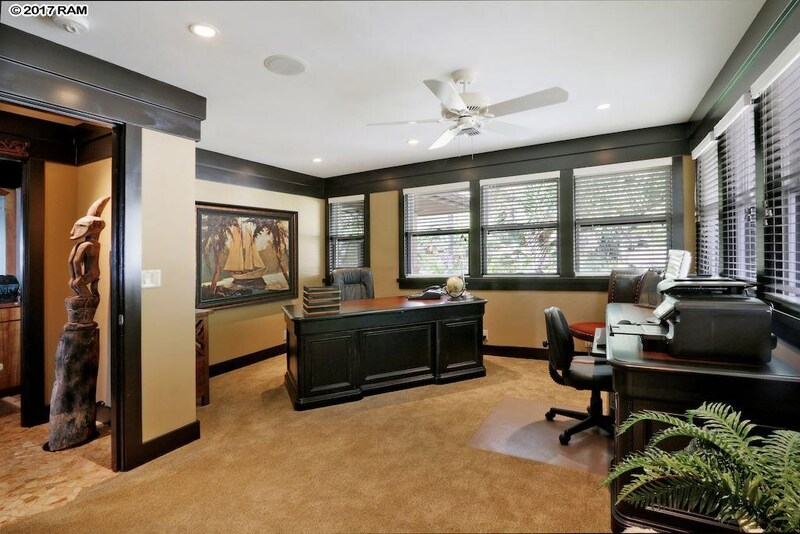 Smart home features including fiber optics for future use, intercom/stereo throughout and a Commercial quality A/C. 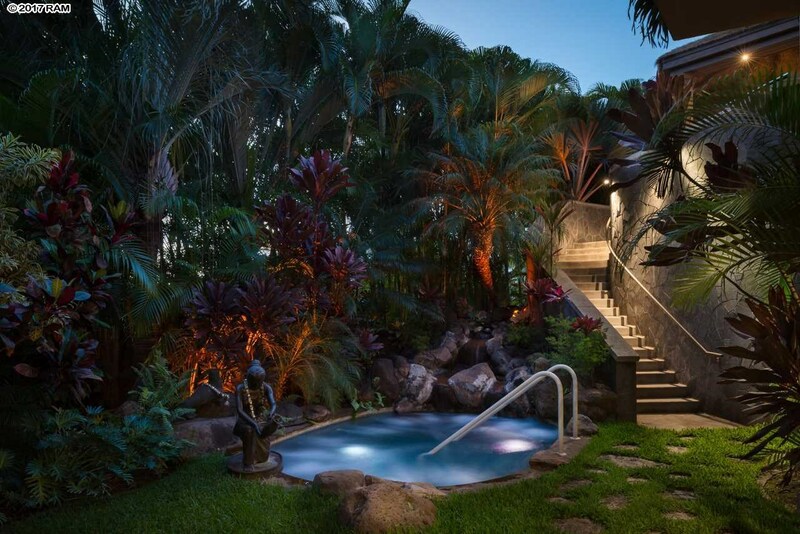 The lush tropical landscaping with its amber lighting and ocean sunsets make for a romantic evening. 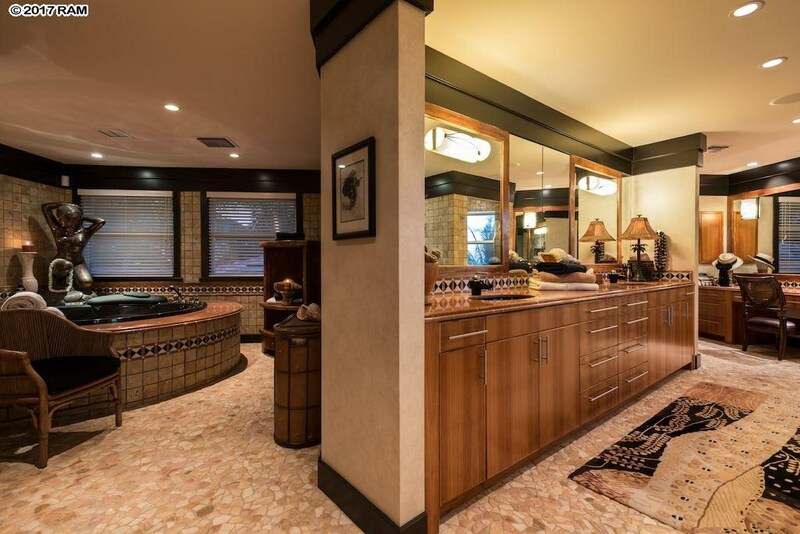 This homes stunning features truly must be seen to be fully appreciated. 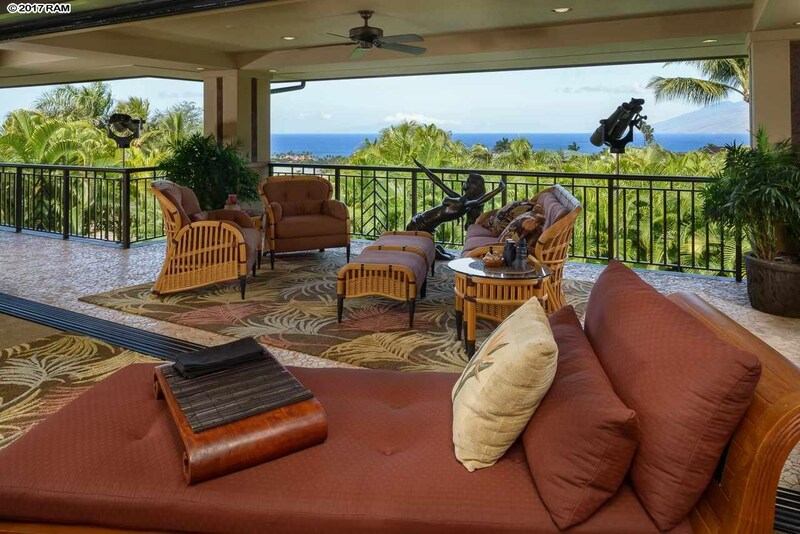 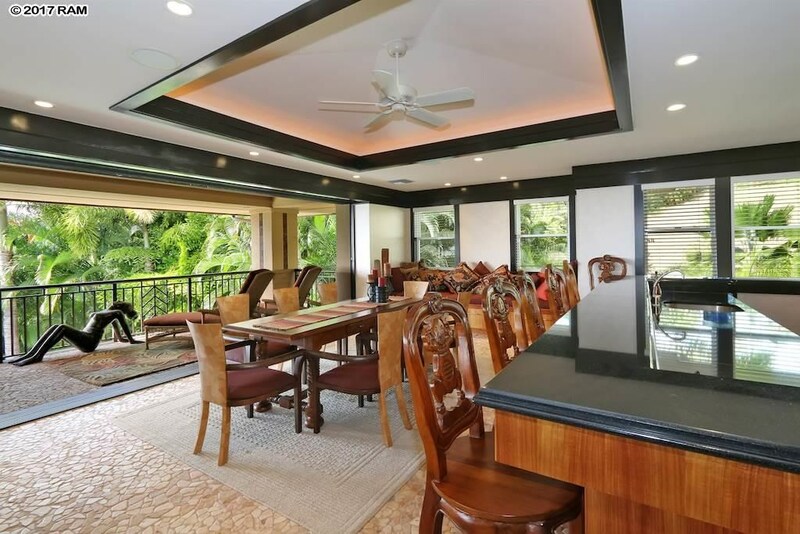 4340 Melianani Pl is a home for sale in Wailea Makena (MLS# 376300). 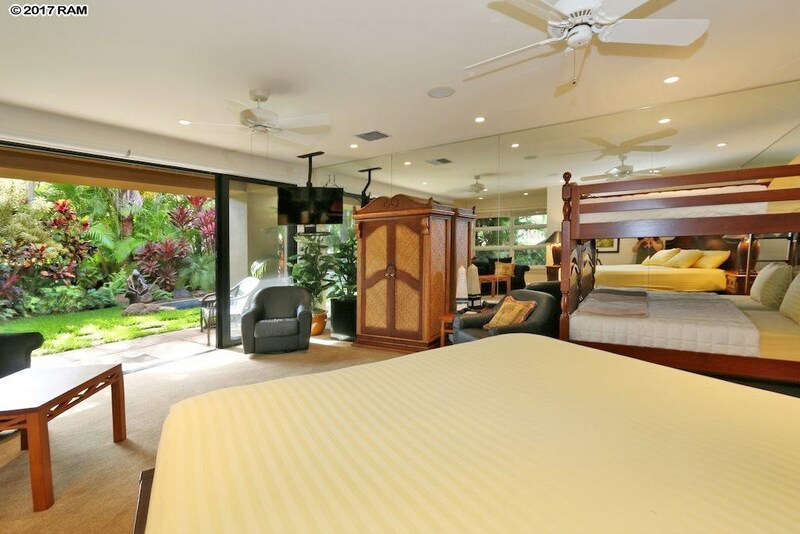 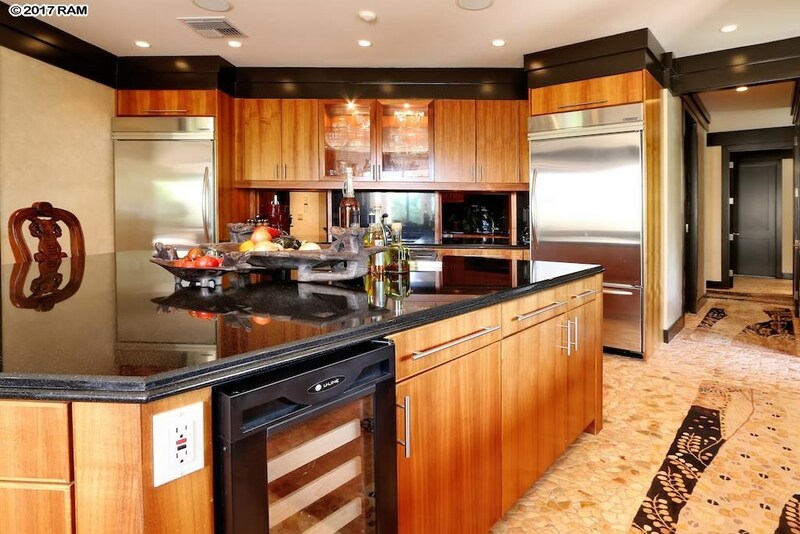 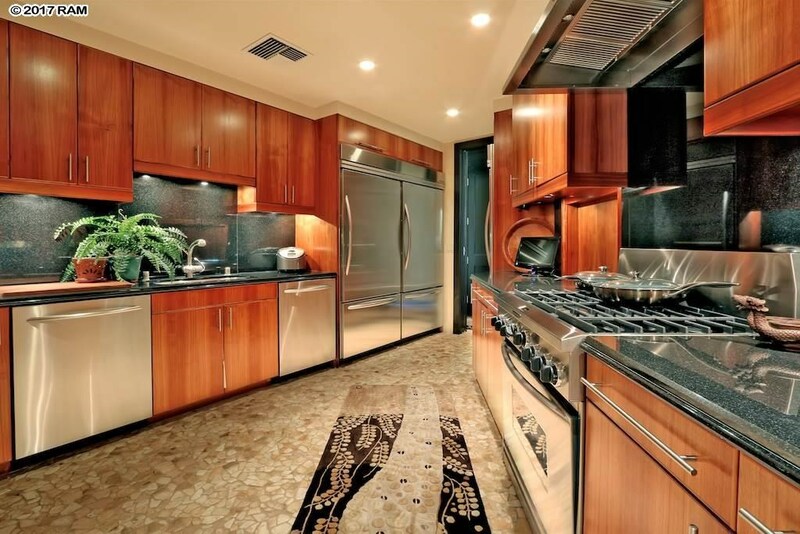 This property features 4 bedrooms, 7 baths, and is 8657 sq ft. 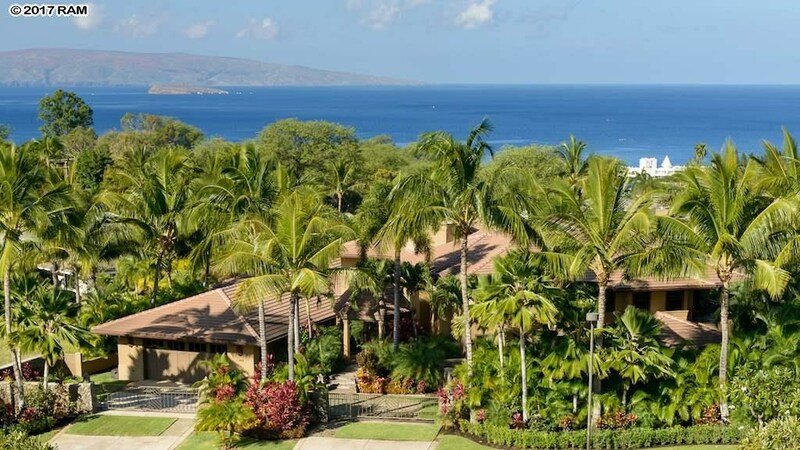 It is currently listed at $8,999,995. 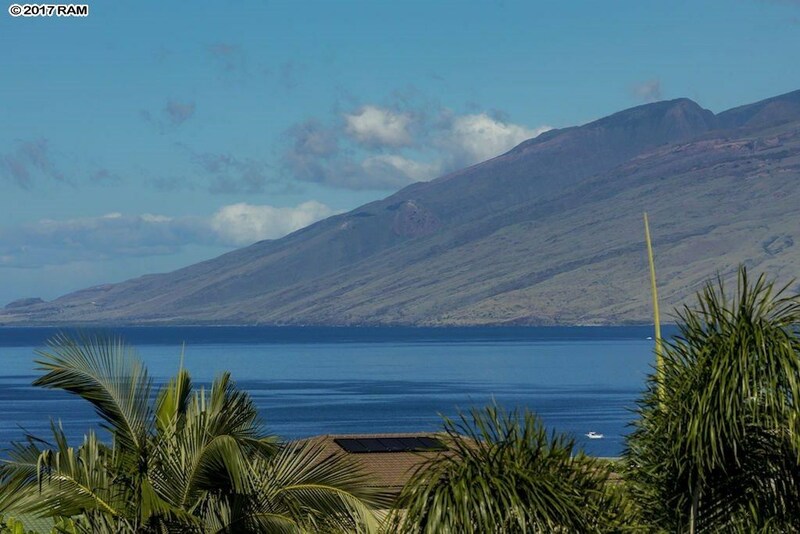 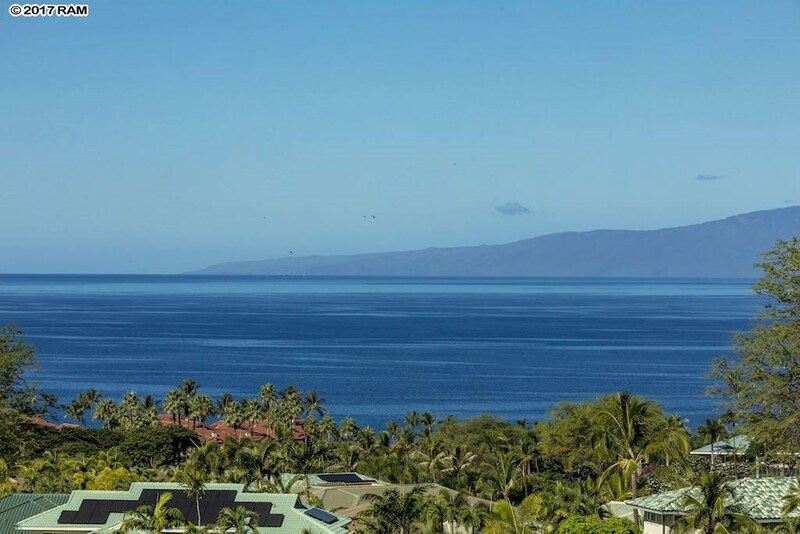 You are viewing the Official Maui MLS® details for the condo for sale at 4340 Melianani Pl, Kihei, HI 96753 – MLS®# 376300.